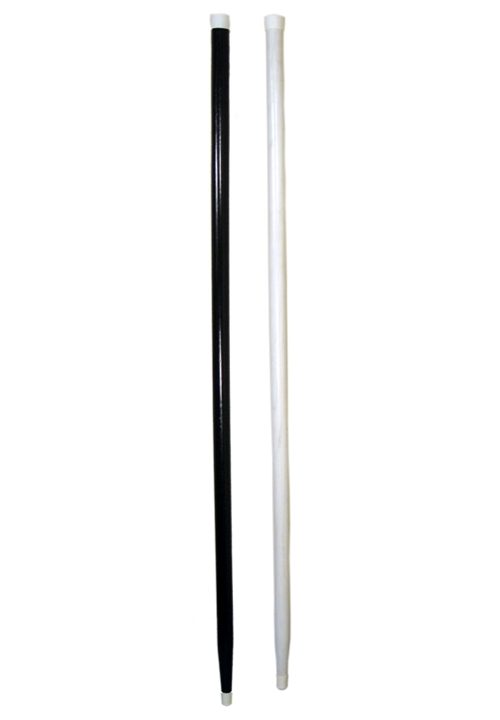 These Classic Collection Basic Formal Canes make a great accessory when you want to go all out. Each cane features a plastic cap, rubber tip at the bottom to avoid scuffing, and is fashioned from Painted Wood in either Black or White with a tapered end. Great for completing a classic look with style!